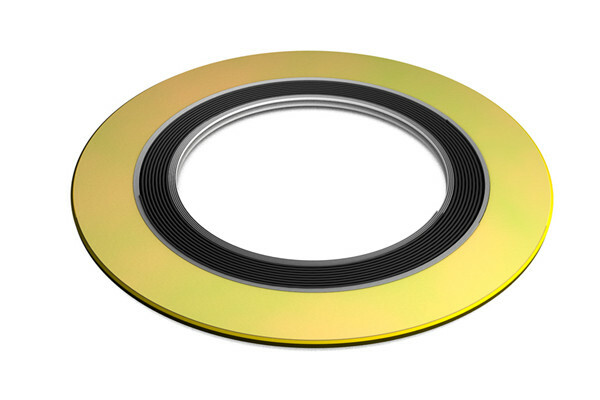 Spiral Wound Gasket comprise a mix of metallic and filler material. Generally, the gasket has a metal (normally carbon rich or stainless steel) wound outwards in a circular spiral (other shapes are possible) with the filler material (generally a flexible graphite) wound in the same manner but starting from the opposing side. Spiral Wound Gasket is widely applied in the fields of petrochemical, mechanical factory, power station, metallurgy, shipbuilding, medical and pharmaceutical unclear power station and navigation, etc. China Spiral Wound Gasket Manufacturer www.steeljrv.com supplies Spiral Wound Gaskets, Spiral-Wound Gaskets. China Gasket Manufacturer www.steeljrv.com supplies 316 Spiral Wound Gasket with Inner and Outer Ring, 36 Inch, 150 LB. China Gasket Manufacturer www.steeljrv.com supplies 316L Spiral Wound Gasket, 2 Inch, 150LB.